It's Christmas, and I, ex-witch Stevie Cartwright, declare this my favorite time of year. I love the decorations! The food! The Hallmark Channel holiday specials! This year promises to be better than ever because for the first time in a very long time, I'm going to have more than just Cheez Whiz, Triscuits, and the wish to be surrounded by family and friends. My carefully planned holiday bonanza includes all the usual suspects: my bat familiar, Belfry; my dog, Whiskey; my ever-present ghostly spy friends, dashing Brit Winterbottom and stalwart Russian Arkady; and my parents. However, nothing comes easy for this amateur sleuth, not even a neighborhood decorating contest. You know, the one I've been painstakingly prepping for for months? Something goes horribly awry with my Christmas display (think bikini-clad carolers, pink flamingos, and real, live turkeys) to start. But the worst? The dead body of the famous Chef Pascal Le June in my nativity scene! It becomes clear someone's trying to ruin my Christmas, and that someone must pay. But when Belfry goes missing and the danger takes on a paranormal edge, I find I have more to lose than ever before. I liked the story but it was way too expensive for what I got. it was just a little short Christmas Story and it shouldn't have cost $19. This book has your emotions on a roller coaster! As Stevie goes on another sleuthing adventure, her sidekick Belfry is no where to be found. 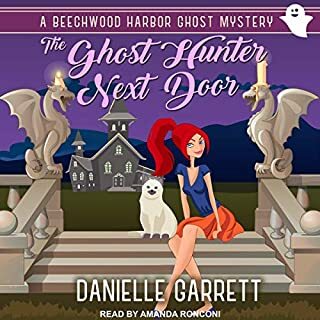 With the two ghostly spies at her side she goes to solve the murder mystery of the famous pastry chef. I do have to say I laughed out loud at the opening scene of what was supposed to be the entry to the Christmas decorating contest. I absolutely love this series and the book. Hollie does an amazing job at her narration. There are many reoccurring characters that are constant in all of the books and the voices do not change. Her narration and Dakota’s detail have you feeling as if you are right there in Eb falls watching the scenes unfold as a spectator. Hollie’s accents are on point with Dakota’s humor. 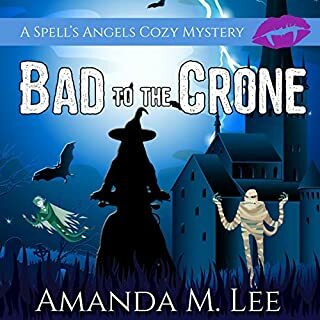 I would recommend to any one looking for a snarky paranormal mystery! I really love the "Witchless in Seattle" series! But, I truly hope that Ms. Cassidy will close the series with the next book and bring Win and Stevie together, face-to-face one way or the other, for good. 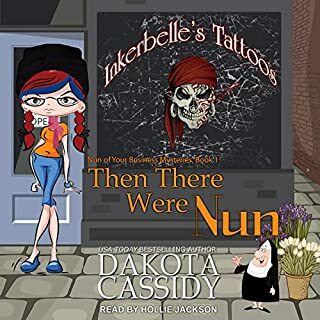 Hollie Jackson's voices bring the characters to life. She is one of my favorite narrators. 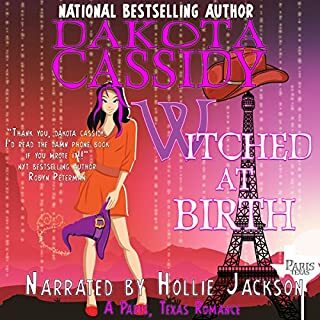 As the title says I love this series and the narration by Hollie Jackson. I do find it interesting that our heroine doesn't use some of the resources available to her. Of course, the story would be much shorter. I also find the behavior of the Witches back in Texas and the head witch hard to grasp. Their lack of support for a individual who was once one of them horrid. They are not the strong men and women I would have hoped and just rolled over for one warlock. Oh well, that is the way of the world and justice is something to be ignored. It is much easier than standing up. Just my opinion. But, am ready to read the next episode. Wonderful story. Love the addition of the Russian spy. the narrator does a great job with all of the voices. 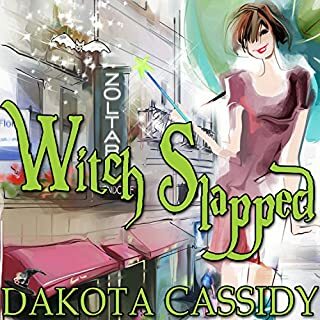 Dakota Cassidy has a great sense of humor and brings it out in all her stories. 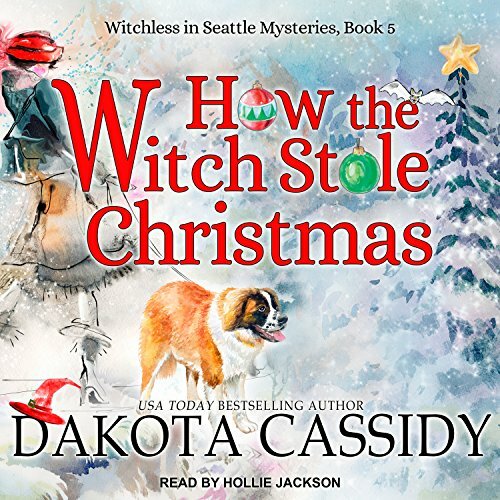 Hollie Jackson brings all the characters to life with her ability to feel the characters. If you're into paranormal fun you won't want to miss this one. As always love the series. Waiting for Wynn to show. 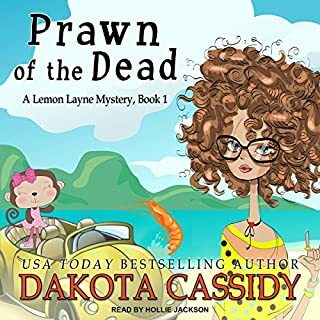 Dakota does a great job with this and the other series. This is a great addition to this series just wish it were longer. Can't wait for the next book!